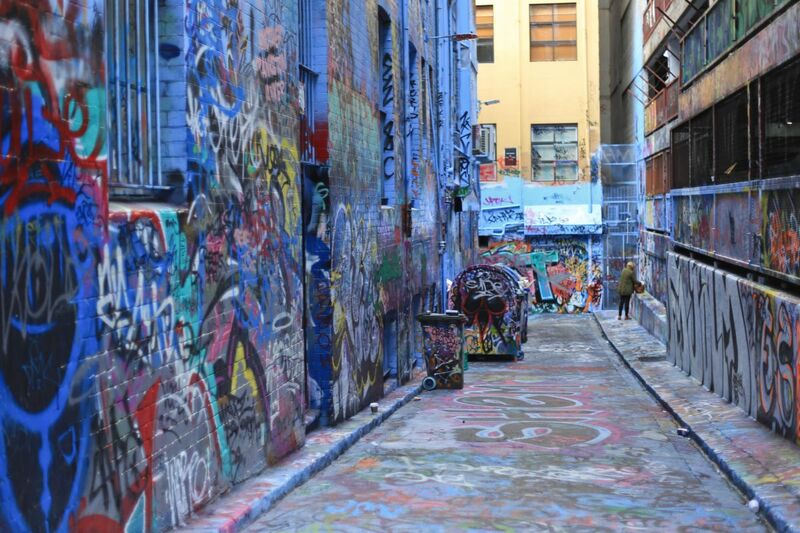 Melbourne is popular for its Graffiti Lanes and the wall graffiti art along these lane ways. 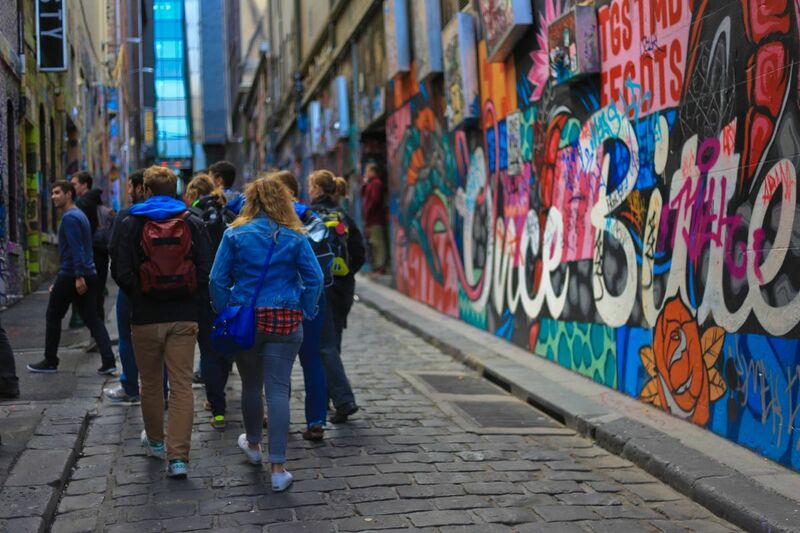 The most popular Graffiti lanes in Melbourne city can be found at the Hosier Lane right in the heart of the Melbourne city very close to the iconic Flinders Street station. These network of connected lane ways are peppered with graffiti art all over it. 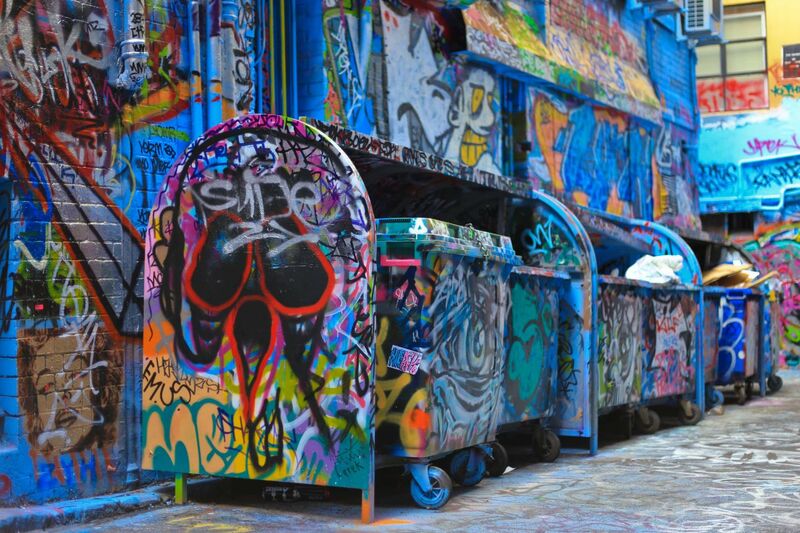 The graffiti spray painting art can be found on walls, railings, rubbish bins and almost anything in these lane ways. The quality of artwork will definitely leave you speechless! There are artwork talking about society, politics, religion, cultures, art, music, people, places and much more. The cobble stone paved pathway with open top, surrounded by restaurants and cafes at every intersection is well worth a visit. 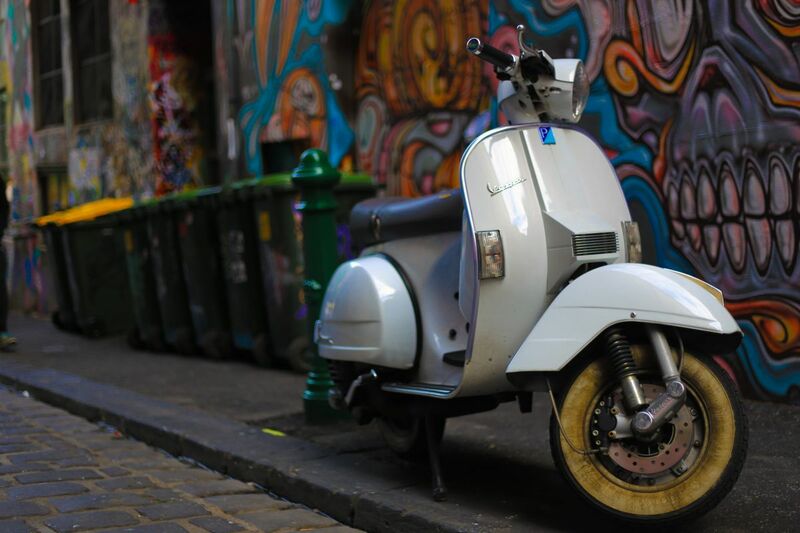 If you are lucky, you can even spot artists working on graffiti art, photographers snapping and many visitors at almost any point of the day.